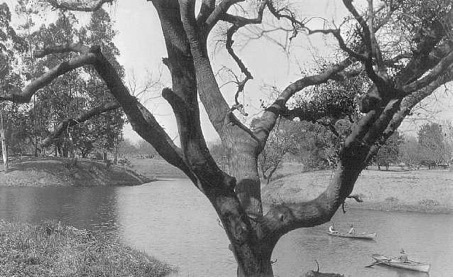 Toluca lake was actually a ranch most comprised of peaches and apples. It was called the Forman Toluca Lake Ranch. 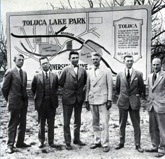 There was very little development in the area until and developer came in and purchased the area and changed the name to Toluca Lake Park and changed it from a ranch to a bedroom community. This is also the same company the created the current logo of a Swan. In 1931, the very first resident of Toluca Lake was Amelia Earhart. She lived on Valley Spring Lane. Another very notable early resident in the 1930's was Bob Hope. She lived out the majority of his life in Toluca Lake. It was rumored that Toluca Lake really started by Bob Hope. And that it was him that help build the neighboring Golf Course. 6 acres in size. It used to have a dirt bottom but sometimes in the 1930's, army engineers cam it can cemented the entire bottom 4 inches in thickness. 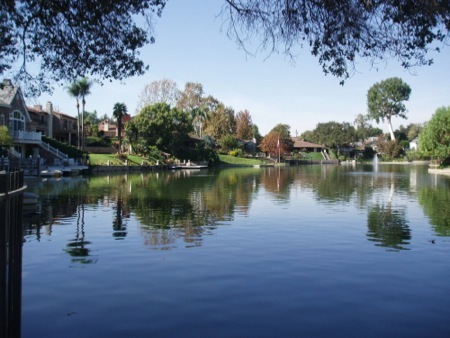 The lake itself is maintained my be the residents who live on the lake thru they very own HOA call ed the Toluca Lake Property Home Owners Association. One of Toluca Lake's more notorious landmarks is well of course the lake itself. But unfortunately its only accessible by the residents who live on it or by the neighboring golf course. It is not open the public at all. 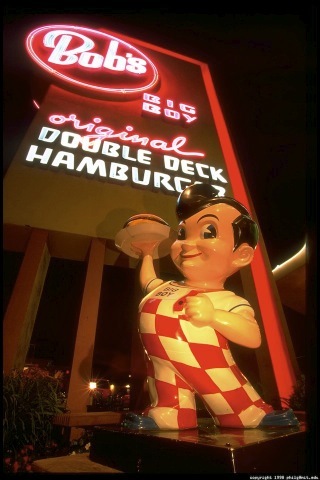 Another very famous landmark that is open the public is Bob Big Boy. It has be there since 1949. It was actually built by 2 residents of Toluca Lake Scott MacDonald and Ward Albert. In 1993 some changes were made including a remodel of the dinning room and more importantly, they brought back the original car hop service again. Another unique even that happens every weekend is a classic car show. The entire parking lot will be full of classic cars. Mostly dating back to the 50's. One last landmark worth mentioning is the St. Charles Borromeo Church. 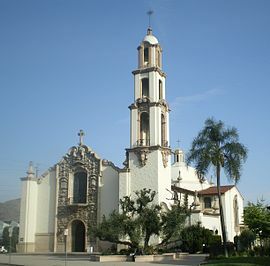 It was established in 1921 and is one of the older churches in the area. Its seats up to 600 and was modeled after the San Carlos Mission. It also maintains its own adjacent catholic school. 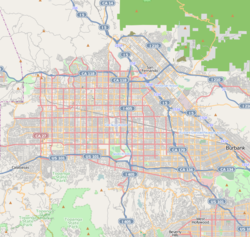 Since Toluca Lake such a small area, it doesn't contain very many schools within its own area except for one, Toluca Lake Elementary School. But it is part LAUSD and has access to school in neighboring North Hollywood. click on each icon to see more info and pictures!